The American Cancer Society suggests that by the time men are 50 (possibly earlier, if they are at risk) they should have their prostates checked. If you feel you may be experiencing symptoms of prostate conditions, Urology Associates of South Bend (UASB) can help you determine the cause and offer treatment options. Dr. Kathleen Delnay, for example, in addition to being one of the best urologists in South Bend, is one of six in-house urologists at USAB, specializing in addressing and treating prostate conditions. What Common Prostate Symptoms Should You Be Aware Of? Although these scenarios often indicate symptoms of prostate infection, a visit to your urologist will ultimately determine if you have a prostate condition. Need to See a Doctor About a Prostate Disorder? UASB Can Help! 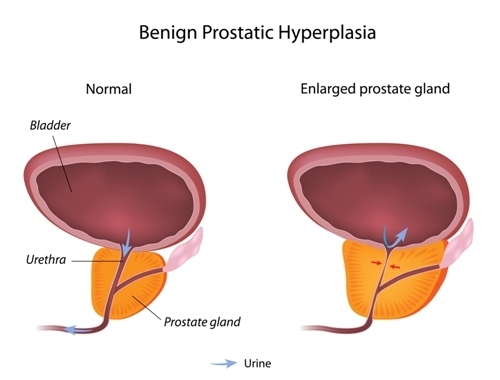 The two most common prostate disorders the Urology Associates of South Bend treat every day are Benign Prostatic Hyperplasia and Prostate Cancer. BHP occurs as a result of an over enlargement of the prostate. The prostate grows at least twice in one lifetime: once during puberty and once after you turn 25 years. While this is completely normal, your prostate can put pressure on the urethra as it continues to grow, causing the inability to empty your bladder fully. This results in the urge to urinate more frequently. If you experience symptoms such as a higher frequency of urination and the urge to urinate right after doing so, visit Urology Associates of South Bend for an examination. Both benign and malignant tumors can grow in the prostate, so it is important to have your prostate checked regularly as you age to ensure any growths are not cancerous. In a malignant growth, prostate cancer cells can break away from the tumor and disperse throughout the body by way of the bloodstream, allowing cancer to spread. If you have growths in your prostate gland, it’s imperative you have them examined regularly. Treatment for BHP and Prostate Cancer vary. Our urologists may recommend certain types of medication or minimally invasive robotic surgery. Schedule an examination to know for sure what type of prostate condition you have and what treatment will be most effective. If you have additional questions regarding prostate conditions, symptoms, or treatment options, contact us at 574-234-4100 to speak with one of our friendly, professional, and knowledgeable UASB staff members.